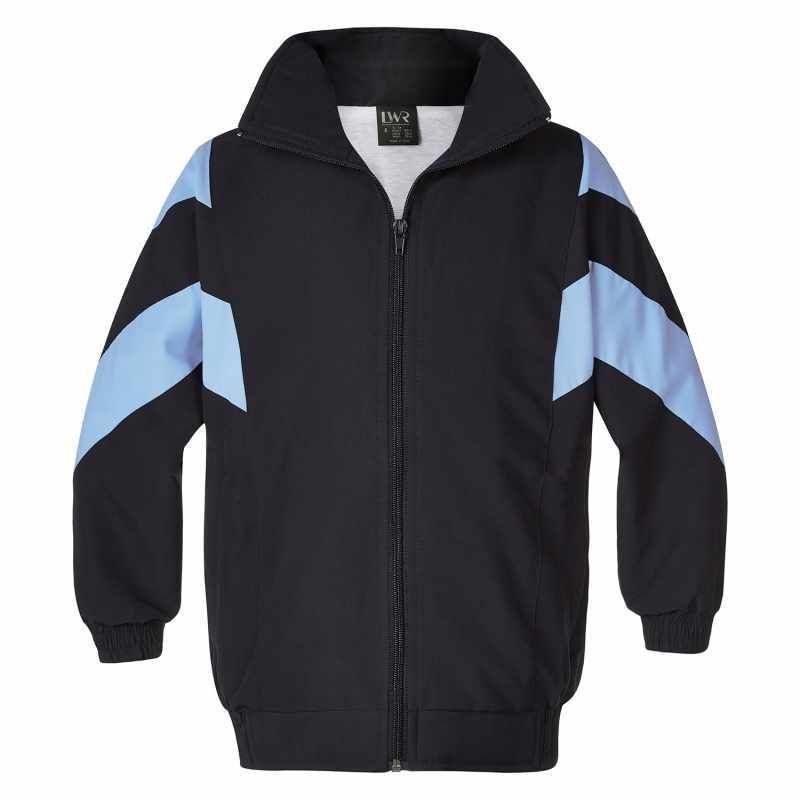 Before you take to the field, warm up in style with this modern jacket. Long hours of training and weeks of anticipation don't count for much if you can't handle the weather on the night. Stay warm and dry, and weight the odds in your favour, with this attractive and practical jacket. With its striking and colourful top-stitched contrast panels, the Giffen sport jacket helps you walk on the field ready to win. Made from water repellent soft finish microfibre and lined with soft polyester cotton, the Giffen jacket is lightweight and quick to dry. The jacket sits comfortably at the waist, with both the waist and cuff made from shirred elastic to ensure a snug, comfortable fit.